Who saw all the work you produced when you were at school? For many of us, the work we created had a very limited audience. It may have only been seen by the teacher, or perhaps some classmates or family members (if it wasn’t left crumpled up in the bottom of the school bag!). Clearly, things have changed and it’s now possible for students to have a diverse audience for their work through platforms like blogs and digital portfolios. This is a great thing but where do you find the audience? Just because you publish something online, doesn’t mean it will be seen. 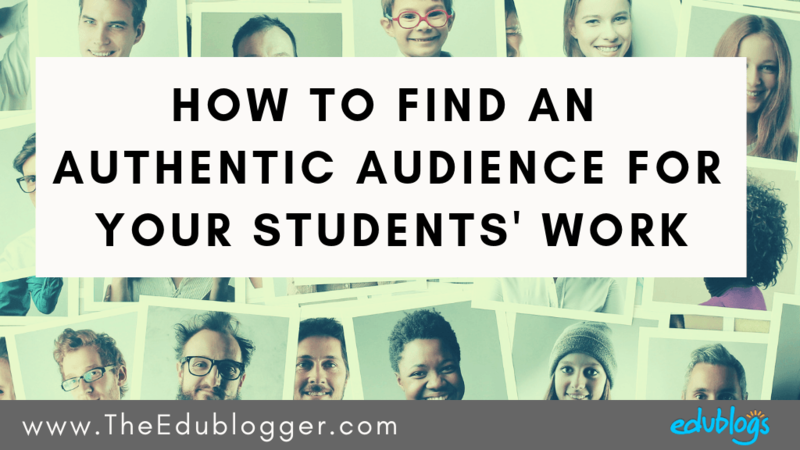 This post goes through six different options for helping your students find that authentic audience for their blog posts or online work. What Are The Benefits Of An Authentic Audience? An authentic audience is powerful. When students know someone beyond the teacher will see their work, they can be motivated to push themselves and work harder. This is something Clive Thompson wrote about in Smarter Than You Think: How Technology is Changing Our Minds for the Better. Making schoolwork purposeful can really impact student motivation and engagement. Furthermore, when students have an audience for their blog posts, readers can provide further information, opinions, suggest resources, seek answers to questions and so on. This can drive a cycle of further learning and development. In the past, the teacher was the audience. Now, the teacher can help their students find their own audiences. This doesn’t have to be a daunting process. You can start small and over time build up to establishing global audiences that can offer diverse perspectives. Let’s go through six options for finding an audience for students’ blog posts, starting with the simplest options. If all or some of the students in your class have their own blog, one of the best starting points is to encourage the students to be an audience for each other. Teach students about the give and take nature of blogging and being part of an online community. This involves producing content, reading content, commenting, reflecting, and perhaps even using insights from others to construct new blog posts. You might do this informally and just ask your students to choose a classmate’s blog to read and comment on. Alternatively, you might like to set up a more structured arrangement like Heather Alexander who is a year 9-12 ceramics teacher in Florida. Her class blog is called Open Studio. Heather has set up peer blog mentor groups across her classes who comment on each other’s work. As she is using My Class, she can pull a report on comments to double check participation. Heather has also tried a peer editing activity which you can read about on her blog. If you teach multiple classes, students can be an audience for others in different classes. Or perhaps there are other teachers at your school who’d like to buddy up classes to provide an audience for students’ blogs. Parents and family members can offer a ready-made audience for student work, however, some education and ongoing encouragement is very important. In 2017, we published a Guide to Involving Parents with Blogs. Family members won’t be willing or able to get involved in blogging if they don’t know anything about it. Education is key. You can try offering information about the blogs and how to comment via a printed navigation guide, pages on your class blog, emails, newsletters, an information evening, a how-to video, Family Blogging Afternoons, or Family Blogging Month. Regular encouragement throughout the year will ensure family members don’t forget about their role as an audience member. Particularly enthusiastic volunteers could become reps who help get others in the community involved. Another great way to help your students build their audience is to form reciprocal relationships with other blogging classes near or far. How many other classes you connect with is up to you. You might decide to just team up with one other class, although a popular choice is to work with a total of four blogging classes in a quad. “QuadBlogging” is a concept that UK educator David Mitchell came up with. 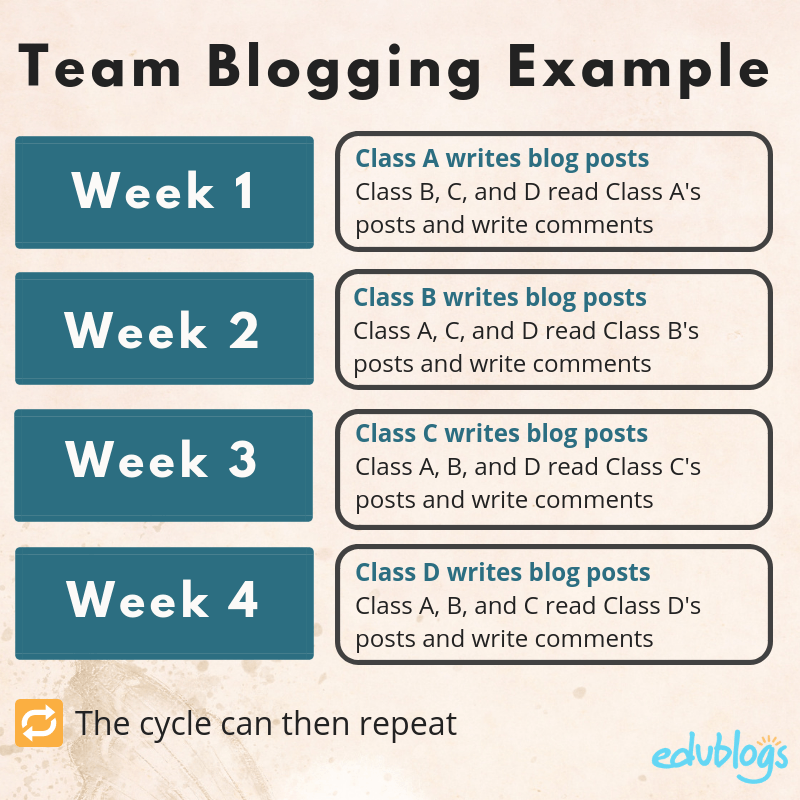 To get the most out of team blogging, you want to make a genuine commitment to read and comment on one another’s blog posts over a set period of time, e.g., a month, a semester, or a school year. Often, the focus class is rotated each week. So if you have four classes, as demonstrated in the diagram below, each class will receive comments for one week and then write comments for the other three weeks. Where to find classes to team up with? Firstly, decide whether you’re looking for a class where every student has their own blog or there is just one class blog. Next, you’ll want to consider what age range would be suitable to work with. From here, you might want to check out our list of class blogs which is updated every six months. This spreadsheet also indicates whether the class has individual student blogs. 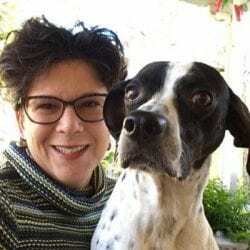 Twitter is also a good place to look for teachers to connect with. How To Connect with Other Classes Around the World Through Blogging is another useful article to explore. Once you’ve found a class that looks like a good match, contact the teacher via Twitter, send an email, or comment on a post on their class blog. They might know other classes who’d like to take part too. There’s a range of structured projects you can join to help your students connect with others, build their own network, and find an audience. 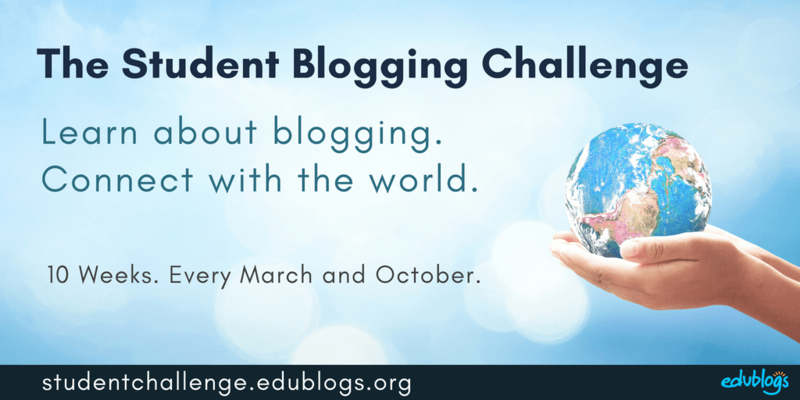 One example is the Student Blogging Challenge which has been running every March and October since 2008. Over 10 weeks, students learn about blogging while connecting with others around the world. A team of volunteer commenters who work in education visit the students’ blogs each week and leave comments. Students are also encouraged to be an audience for others and comment on a variety of blogs. If you’re interested in joining the next Student Blogging Challenge you can sign up for the mailing list so you get an email when registrations open. 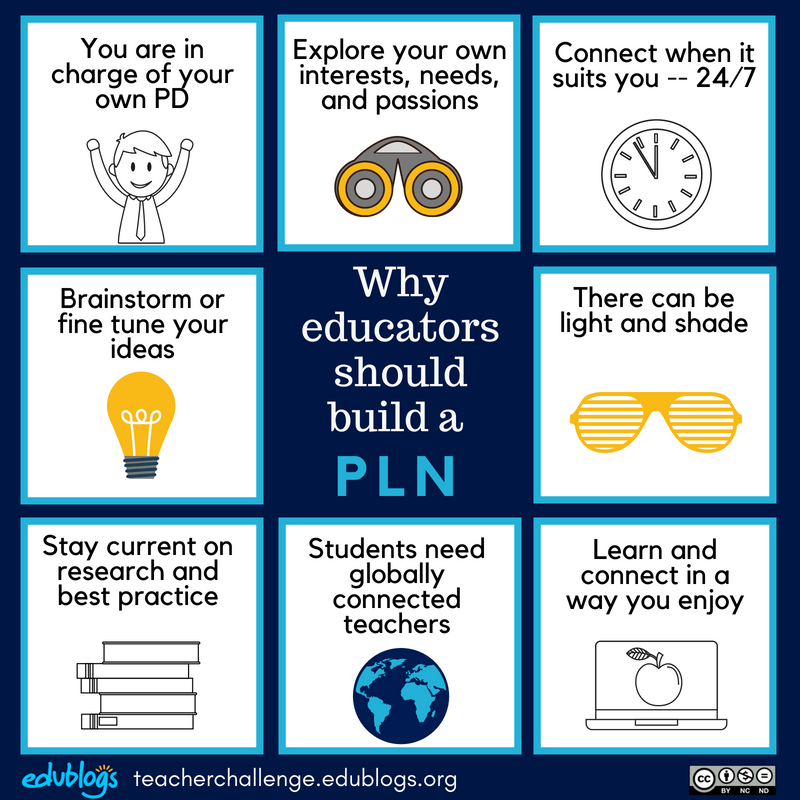 There are many reasons why it’s great to have your own PLN (Professional Learning Network) as a teacher. The graphic below summarizes just some of the reasons. These are explained in more detail in this post. If you’re not familiar with PLNs or how to go about becoming a connected educator, we have a free, self-paced course that can help. Having your own PLN is a key way to also help your students connect with others and start developing their own networks. Publish a tweet to share your student blog posts and invite comments. The hashtag #comments4kids was designed to be used when sharing student work. Reach out to someone who works in a field that your student is interested in to help extend their learning further. Set up a Facebook group with members of your global PLN who are interested in sharing students’ work and helping to find authentic audiences. Outside of education, most people land on a website because Google sent them there. For older or more advanced students, you might start having a discussion about finding an audience organically. Together you could explore how people who publish online outside of education go about this. Ensure your blog is indexed in search engines like Google (Dashboard > Settings > Reading > Allow search engines to index this site). Note: this is only available with Edublogs Pro and CampusPress accounts to prevent misuse by spammers. Install the Simple SEO plugin and type in a ‘Meta Description’ about the site and posts that will show up in Google results. Assign posts to tags and categories to help readers find what they’re interested in reading. Use Google Analytics to see who’s visiting your site, where they find your site, and what they’re most interested in. This data could provide inspiration for content that you’d like to update or expand upon. Learn about setting up Google Analytics for your Edublogs Pro or CampusPress account here. As an active voice on the web, students can become part of rich conversations that are much wider than their classroom. 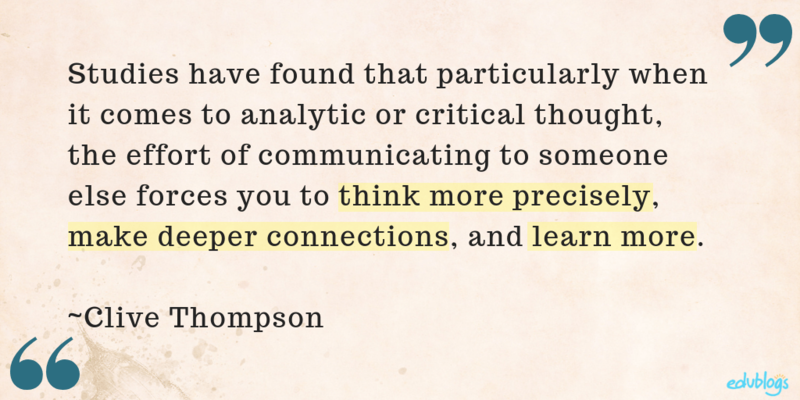 They can learn that their insights and ideas are valuable. 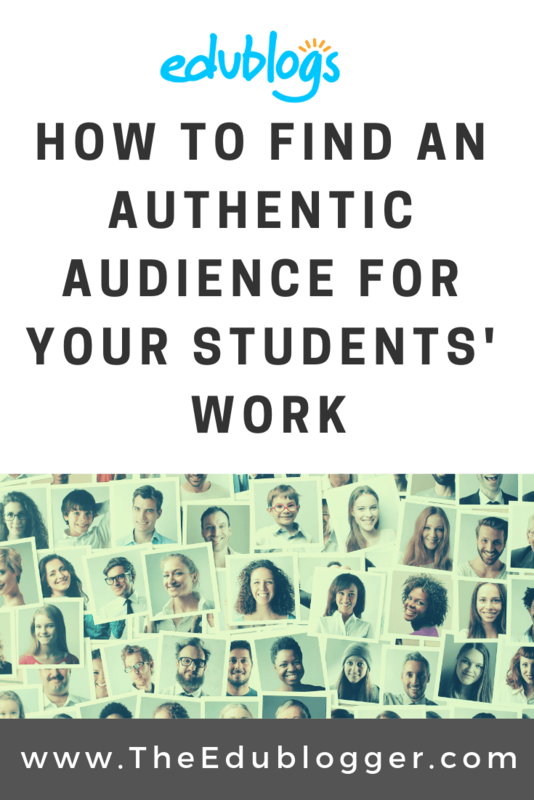 Helping your students find an authentic audience for their work might take a little time and effort to set up but the rewards will be worth it! Students can learn to think beyond grades and pleasing the teacher, and start contributing their voice, knowledge, and resources to a global community. How do you find an audience for your students’ work online? If you have any tips or ideas to share, we’d love to hear from you! What a wonderful anecdote about your students’ first experiences with blogging! It really is so important and so powerful. A great start is to also have teachers publishing for an authentic audience (like you do) to be a role model for students. Really interesting article. You have encouraged me to spend more time getting my own class’s blog up and running again this year.